Regencies With a Difference! 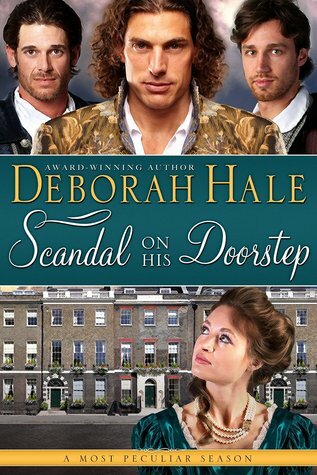 Scandal on His Doorstep is the second book in a multi-author series of Regency historical romances – A Most Peculiar Season. The year is 1811 and the Prince of Wales has finally been declared Regent to rule in place of his incapacitated father. But that is not the most peculiar thing about this London Season… An audacious thief is lifting jewels from under the very noses of their aristocratic owners. Some suspect The Mayfair Shadow may be a member of the ton! An infant is abandoned on the doorstep of three notorious rakes – but which one is the father? Are a series of gruesome murders at Vauxhall connected to the exiled royal house of Moldavia? A perfect young lady, betrothed to England’s most eligible earl, vanishes from a ball on the eve of her wedding. And what about rumors of a virile Viking warrior in the Prince Regent’s court? Enjoy this entertaining Regency series created by a group of award-winning and bestselling historical romance authors! About the Story: Three Noblemen and a Baby! A baby is left on Jack Warwick’s doorstep. And the notorious rake doesn’t know if the child is his. Jack shares a Mayfair town house with two friends, and a note left with the baby suggests one of the three bachelors is the father…but which one? And who will care for the child until they can locate her mother? Jack can think of only one woman he would trust with such a delicate task. Annabelle Robb, the penniless widow of his cousin, has been too proud to accept his financial support. Enlisting her help with the baby is the perfect excuse to provide for the woman who was once his dearest friend. Annabelle agrees, with great reluctance. She cannot turn her back on an abandoned child, for both she and Jack know the pain of being unwanted. Yet she fears rekindling her old feelings for him, which were once far more than friendly…until he broke her heart Though Jack cannot be certain he is the baby’s father, his growing affection for the child makes him vow to reform his ways. Yet the more time he spends with Annabelle, the more he is torn between a sense of duty to find and marry the child’s mother …and his growing desire for Annabelle! The infant’s howls drew nearer, penetrating even the flimsy walls and door of Annabelle’s rooms. The sound took her back to the nursery at Eastmuir and the endless succession of young cousins for whom she had cared. Would someone not take pity on the poor little creature and make an effort to soothe it? Apparently not, for the cries grew increasingly loud and shrill as they approached. Then someone knocked frantically on Annabelle’s door. Suppressing a squeak of fright, she seized the poker from her small hearth and edged toward the door. Though this lodging house stood on the fringe of fashionable Mayfair, the immediate neighborhood was rather unsavory. She would be relieved to find work and move to a more respectable address. “Annabelle?” A familiar masculine voice rang out, though she had never heard it sound so thoroughly rattled. His charity – that was what she had spurned time and again since Frederick’s death. The more tempted she was to accept, the more irate her refusals had become. Why could Jack Warwick not take no for an answer? Through all this, the baby continued to cry harder than ever. Did Jack have a child with him? And what sort of help could he want from her? Her only hope of getting answers to those questions would be to let him in. Annabelle dropped the fire poker then unfastened the bolts that gave her some illusion of safety. When she opened the door, Jack strode in without awaiting any further invitation. He carried a basket from which the insistent cries emanated. “Is that a baby?” Annabelle demanded in a tone of disbelief as she shut the door behind him. She did not bother to bolt it. In spite of the bewildering circumstances of his visit, Jack’s presence made her feel safe…in a physical sense at least. An observer might have thought otherwise, for Frederick’s cousin had a wild, distracted look about him. He wore no hat and his golden brown hair fell in disarray, as if he had frequently plowed his fingers through it. Hazel eyes that so often sparkled with mischievous high spirits, seemed shadowed as they darted restlessly. Jack’s ruggedly attractive features were tightened in a haunted, desperate look. Annabelle had never seen him in such a state. It alarmed her. Had he rescued the child from danger or abuse? That would certainly be in keeping with his character. Her antagonism toward him softened considerably. He spoke faster and faster, as Annabelle had heard old King George was apt to do when a fit of madness came upon him. Was Jack going mad or did this child truly belong to him? That last thought brought Annabelle a sharp pang of dismay, but she had no time to dwell on it. The baby quieted a little when she plucked it from the basket and began to rock it in her arms while making soothing sounds. But the child did not stop crying altogether. That came as no surprise to Annabelle. Her nose wrinkled at the reek of ammonia and worse that the poor little creature gave off. When she wiped a tear from the baby’s flushed cheek, its head turned and the tiny mouth rooted toward her finger. “Not exactly.” Jack sounded defensive and rather lost. That was so unlike him, Annabelle could not stifle a flicker of sympathy – little as he deserved it. Jack regained a little of her respect by making haste to do as she bid him. The baby’s fussing quieted further when Annabelle peeled off her wet, soiled linen and prattled to her in a soothing tone. Jack nodded meekly then watched with an air of awe as Annabelle folded and tucked the cloth snuggly around the baby’s bottom. When she picked it up and began to walk back and forth, the exhausted child snuggled against her shoulder. His sincere gratitude was hard to resist. For her peace of mind, Annabelle knew she must resist it and everything else about Jack Warwick. “The poor little thing is quiet for the moment, but she won’t stay that way long if she isn’t fed.” How could the child’s mother have abandoned her to the mercy of Jack Warwick and his equally irresponsible friends? Annabelle could not decide whom she was more disgusted with – the child’s neglectful mother or the man who’d gotten her with child out of wedlock. Striving to conceal her embarrassment, she explained that only a woman who had borne and suckled a child recently could nurse another infant. Jack shifted in his seat, clearly uncomfortable with the conversation. No doubt a man with his rakish reputation believed the female bosom had been designed exclusively for his pleasure. “You could take her to the Foundling’s Hospital,” Annabelle suggested, though she had no intention of letting him do any such thing. His answer went a great way to soothe Annabelle’s antagonism. “Clearly the poor woman thought otherwise.” Annabelle held the baby protectively. It had been several years since she’d last cradled a sleeping infant, yet the action came as naturally to her as breathing. There had been a time when she’d professed herself heartily sick of caring for babies. Yet suddenly she felt as if something missing had been restored to her. But that was ridiculous. She did not miss walking the floor all night to prevent a colicky baby from waking the whole house. Nor changing smelly, soiled linen. Nor having her clothes spit up on. Jack looked as if she had struck him a hard blow. Annabelle tightened her countenance into a severe look and steeled herself to resist his pleading. Tempted as she was by the prospect of a warm, comfortable bed and the toothsome bounty of Jack’s kitchen, Annabelle hesitated. She knew all too well the dangerous folly of becoming attached to a child…or anyone else. Jack’s promise to give her anything she wanted was no particular inducement. The only thing she had ever wanted from him could not be granted simply for the asking. My Thoughts: Here is a light-hearted, sometimes hilariously funny story involving three rather rakish men and their rakish appetites who find themselves in a position where they must prove their honor. But life deals each of them more than just owning up to being a possible father to the foundling placed at their doorstep. I enjoyed how Jack had no clue that he loved Annabelle, enduring many an uncomfortable scene. Once he knew, he couldn’t seem to convince Annabelle, who had known him all his life. Annabelle didn’t want to warm some rake’s bed. She wanted a home, love and family. Could she settle for taking care of little Sarah, instead? The author did a fabulous job involving the reader in the convoluted lives of the three bachelors at Mayfair town house. All the rakes were very much rakes, but all had an honorable heart which endears them to the reader. The ever-lovable Annabelle was respected and loved by all three. Jack’s temper flared every time he saw her talking with either of his two friends. This was an entertaining, well-scripted read with a bit of danger lurking in the shadows which Jack does a marvelous job keeping at bay. About the Author: Deborah Hale is the author of more than thirty books that have been translated into many languages and sold over 3 million copies worldwide. A Golden Heart ® winner and RITA ® finalist, Deborah writes historical romance, inspirational romance and otherworld fantasy. She and her family live in Nova Scotia, Canada, between the historic garrison city of Halifax and the romantic, picturesque Annapolis Valley. This is what she says: I have been writing stories ever since I could hold a pencil and singing in church choirs since I was big enough to hold a hymn book. I had my first critique partner in ninth grade. We wrote lots of stories and assured each other how brilliant they were. Our treasured friendship continues to this day. During my high school years, I dabbled in drama, including historical plays where I got to dress up in elegant gowns from bygone eras. Later I traced my ancestors to their roots in Georgian era Britain. In the process, I uncovered enough fascinating true stories to keep me in romance plots for years to come! A special needs teacher by training, I left the classroom to raise my young family, fully expecting to return to work when my children reached school age. In my limited spare time, I wrote my first historical romance then began learning the skills I needed to make it sell. In 1998, my life took an amazing detour when my two youngest sons were diagnosed with autism and I sold my first book. Suddenly my writing hobby became a career that allowed me the flexibility to be at home for my boys, and my former profession became my life. Since then, I have written more than thirty works of historical romance, inspirational romance, otherworld fantasy and historical fiction. They have been published in every continent except Antarctica, meaning my characters have made friends in places I may never get a chance to visit. My family and I live in historic, romantic Nova Scotia. When not writing books or driving my children to various appointments and activities, I continue to worship in music with the Celtic Singers. 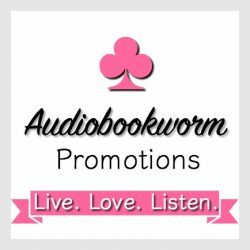 This entry was posted in New Book Release, Regency Romance, Romance, Women's Fiction and tagged A Most Peculiar Season Series, Deborah Hale, historical romance, Regency Romance. Bookmark the permalink. Eileen, this sounds like a fun read and I’m adding it to my wish-list. This sounds like an interesting read. I’ll have to add it to my TBR list. This sounds like a Historical version of Three Men and a Baby. Looks like a really good one and I love the cover art. Yes, it is exactly that! A really fun read!